All Around Vegan From the essentials, to snacks, to supplements.With a collection of vegan and cruelty-free items sent to you on a monthly basis, our exciting boxes make veganism convenient, active and fun! Whether it’s clothing, a book, or something handy in the kitchen; our box always brings something new to enhance the vegan lifestyle. We all need bath & body products. Ours just happen to be vegan & cruelty-free. Often curated from artisan sellers, these items are great for new product discovery. All Girl Shave Club Turn the chore of shaving into a treat with a subscription to All Girl Shave Club! Experience high quality, premium razors and discover unique, specialty shaving and body products delivered right to your door at an affordable price!10% off any new subscription. MEET BABEBOX® 👋🎁 BabeBox® isa beauty & makeup subscription box that delivers 5-6 full-sized Cruelty Free products to your door step, every month! Get $150+ of Makeup, Skin Care and Hair products for $25.00. 5-6 Full Sized Products Only $25/month. 🎁 Get your first month for free with any purchase, and after that it’s only $25/mo. Blume Self-care is an art and our boxes are masterpieces. 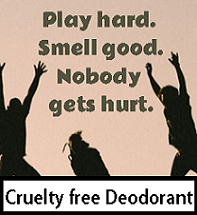 Natural deodorant, organic face wash & organic bleach free tampons and pads. Build your box starting at $10.99 / month. Use coupon code ‘BACK2SCHOOL’ all new customers, can save up to 25% on anything ordered in September. 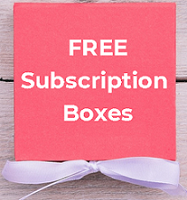 Ecocentric Mom Gift Subscriptions – Choose from Pregnancy, Mom and Baby, Mom and Toddler or Mom. Join now to receive 5 full size organic & eco-friendly products and accessories you’ll love and trust. Fit Lifestyle Box: Choose from Get Lean, Get Strong, & Stay Fit and receive some of the best and newest products out on the market that fits your goal! Choose woman or man or both! Happy Legs Club Premium Women’s Razors. Directly To Your Door For As Little As $4/mo. KYUT BOX MONTHLY4 to 5 cruelty-free and vegan full sized beauty products mailed to your door every month. By subscribing to Kyut Box you are supporting Rescue + Freedom Project with their mission of rescuing animals from laboratories, because a portion of our proceeds goes directly to them. Little Life Box 8-12 snacks, skincare products & lifestyle items in every box! Mix of snacks, beauty items, supplements & more. Mix of full size & sample items by subscription. There’s even a vegan box! LOVE GOODLY ($29.95/bi-monthly) Natural, eco-friendly products to your doorstep. Every other month you’ll receive 5-7 cruelty-free, vegan products, a mix of full-size products & deluxe samples of nontoxic beauty, skincare, healthy snacks and eco style accessories. Boxes have a value of $60+ and every purchase supports a cause. Great for all skin types. Non Toxic, Gluten-Free. Nourish Beauty Box Each month delivery of at least 4 full-size products right to your doorstep. Beautiful products which are not loaded with toxins and chemicals. No parabens, triclosan, pthalates, GMO or pesticides. Just all natural, organic, wild crafted goodness. Price varies on months chosen. FREE US Shipping! Each month you’ll receive 4 products ($45-$60 value) of non-toxic and plant-based beauty, curated to your beauty profile for as low as $15/box. You fill out an extensive profile with your age, style, skin type, hair type, color preferences, etc. This prevents you from ending up with a bunch of products that are useless to you. You’ll receive a diverse mix of makeup, hair care, body & skincare curated to match. Petit Vour offers FREE SHIPPING for USA & Canadian beauty box subscribers! Bonus: you get $4 back each month in PV Points for rating your box! Choose between 5-7 or 3-4 full-sized products, hand-selected exclusively for fun and fabulous single women. Do you need to be single to order? No. Sweet Sparkle Box: Each month receive FIVE FULL-SIZE beauty products ( many cruelty free). We may include bonus items each month in addition to the five full-size products.. Free International shipping. Save $3.00 on Sweet Sparkle Quarterly Box Subscription. The Floless box Non-toxic and cruelty free skincare products. Sourced with care from ethical brands. Bi-monthly. Every box you purchase will help a child in need. Vegan Cuts Fall Quarterly Makeup Box: Each box has 4 or more full-size makeup products. 100% cruelty-free & vegan. Focus on organic & natural makeup.Paraben-free. Free shipping to the U.S.
$39.95 PER QUARTER* Lower with annual subscription. Free U.S. Shipping. Ships Worldwide. I had no idea there were this many options! Thank you for compiling this list, I only use cruelty-free products and I have been looking into subscribing to some kind of box and this helped narrow down my list.